ISIL left very little of the eastern Syrian town of Deir El-Zour behind it when it fled from the Syrian army, which has recaptured the biggest and most important town in the east, and the centre of Syrian oil production. The devastation and destruction is almost total. 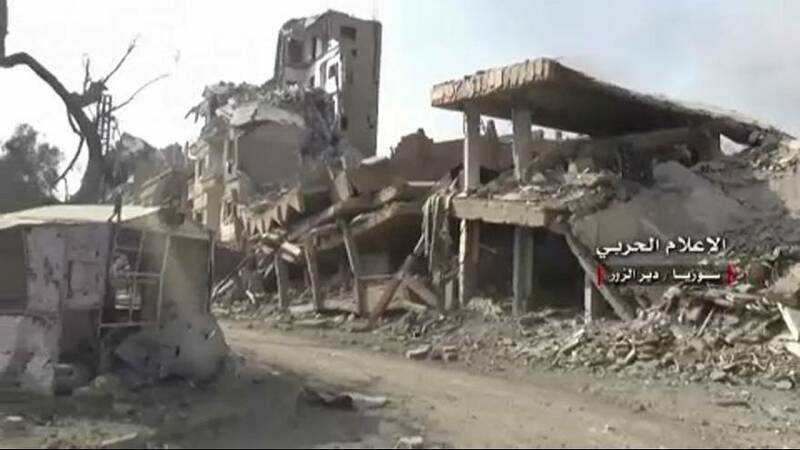 Thousands of homes and apartments have been damaged, the old souk has been looted and destroyed, and many ancient landmarks have been reduced to rubble. The pitched battle for the town and the vicious street fighting needed to root out the last Islamic militants means rebuilding could take decades. The capture of Deir el-Zour is being seen as a largely symbolic victory as the military’s bigger fight, to capture the last remaining ISIL strongholds in the oil-rich province along the border with Iraq, is far from over.